Deeply and gently purifies facial skin and neck. Removes make-up and dirt. Cleanses without drying the skin. Suitable for all skin types. Pump dispenser a few times, massage over wet face and neck. Rinse. Pat skin dry. Use mornings and evenings. Continue with the suitable Madara toner and moisturiser. This face cleansing foam comes in a great looking quality bottle with an easy to use pump dispenser. It dispenses just the right amount out from just two pumps. The foam is really light and airy and has a very subtle fresh scent. Once applied to skin it feels creamy and soothing. It is easy to massage into face and neck and leaves skin feeling really refreshed and clean after use with no hint of dryness whatsoever. 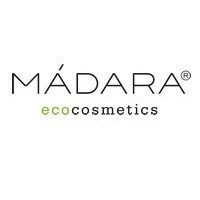 I love Mandara products they are such great quality and ethics. I recommend this lovely face foam cleanser very highly,you will not be disappointed. "This face cleansing foam comes in a great looking quality bottle with an easy to use pump dispenser. It dispenses just the right amount out..."